We are now providing training in digital biology and scientific computing based on the book that can be tailored to your organization’s needs. The first offering is an introductory computer programming course tailored specifically for life scientists who want to use computers in their research, offered through our consulting company, Amber Biology. 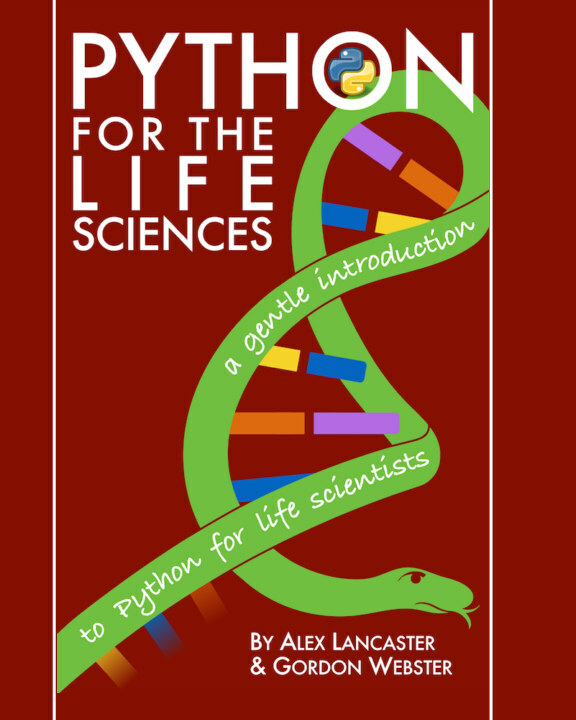 This course, Python For Life Scientists, can be customized for between 20 and 40 hours of teaching and workshop sessions. Like the book, we created this course specifically for biologists with little or no prior experience writing code. At most colleges unfortunately, courses in coding and basic computer science are still not a part of the core curriculum for the life sciences, yet biologists are increasingly discovering the need to move beyond calculators and Excel™ spreadsheets in order to handle their data and the more quantitative aspects of their own research. Our aim on this course, is to provide the life scientist, with a foundation in Python sufficient for them to be able to start using it in their own research. This course emphasizes hands-on, experiential learning. There is some component of traditional classroom learning, but much of this course is composed of coding exercises and workshops. The best way to learn Python is to take the wheel yourself! We therefore encourage every student to participate fully in the coding exercises and workshops, since this will solidify their foundation in Python in a way that classroom learning alone, cannot.